For solid returns with minimal effort and low cost, buy an S&P 500 ETF. Legendary investor Warren Buffett agrees. On Monday Buffett advised professional basketball player LeBron James in a CNBC interview to keep it simple and invest in low-cost index funds. "Owning a piece of America, a diversified piece, bought over time, held for 30 or 40 years, it's bound to do well," said Buffett. "The income will go up over the years, and there's really nothing to worry about." 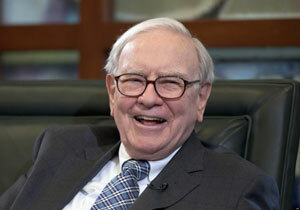 It's not the first time Buffett has recommended this type of investment. "A low-cost index fund is the most sensible equity investment for the great majority of investors," Buffett once told index-investing pioneer Jack Bogle. He even recommended this "keep it simple" tactic to his own survivors and trustees. "My advice to the trustee couldn't be more simple," Buffett said in his March 2014 annual letter to Berkshire Hathaway Inc. (NYSE: BRK.A) shareholders. "Put 10% of the cash in short-term government bonds and 90% in a very low-cost S&P 500 index fund. (I suggest Vanguard's)." The Oracle of Omaha said this strategy will provide better long-term results than those achieved by investors using high-fee managers. S&P 500 Stocks Are "Best in Breed"
In February the S&P 500 Index rose 5.5% for its best month in more than three years. It's up 2.1% year to date and headed higher over the long term. "For the year ahead, I'm projecting a 7% gain for the S&P 500," Money Morning's Tech Specialist Michael A. Robinson said back in December. "I'm basing that on the U.S. economy's recent strong performance – and I'm being conservative." In a note titled "10 Reasons to Stay Long the S&P 500," Bank of America strategist Saviata Subramanian said S&P 500 companies' balance sheets are healthy, with plenty of cash. Many components pay dividends that trounce returns on Treasuries. S&P 500 stocks are the world's "best-in-breed," Subramanian added.